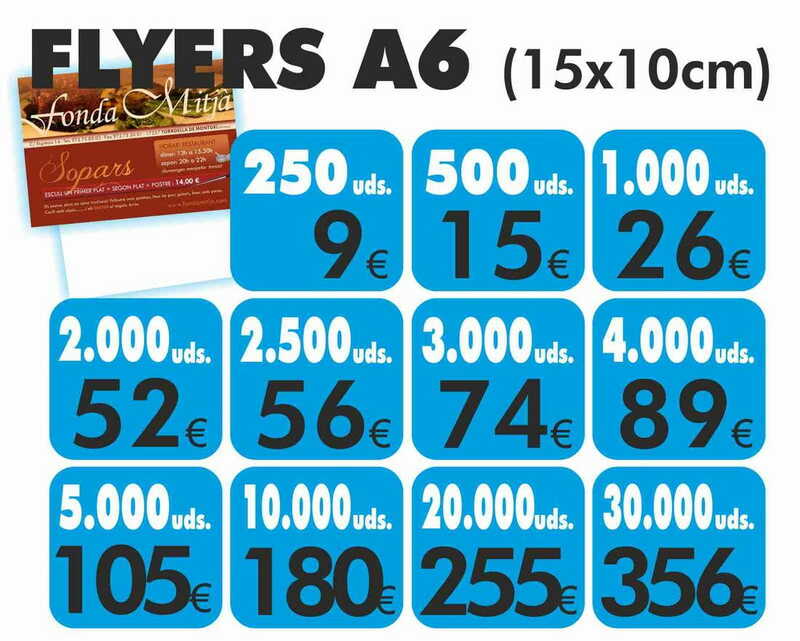 Flyers A6 (15 x 10 cm) to 1 face color with paper stucco of 135 gr mate. For the advertising of your business, establishment, promotions, etc. Economic Flyers to color.